Newer, efficient Rocky Peak townhome conveniently located on a cul-de-sac in the Fish Creek area with sunset and S Valley views, low HOA dues and a 2 car heated garage. 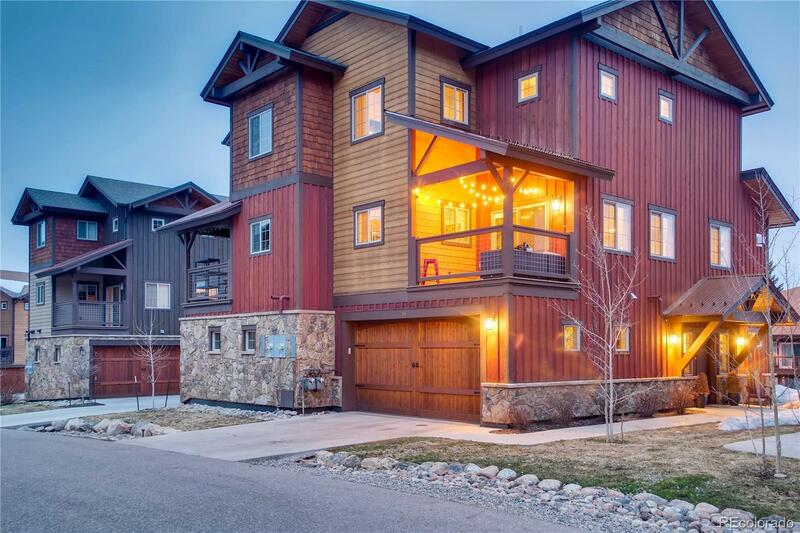 Built in 2015, this 3 bedroom, 3 bath home features in-floor radiant heat and high-end finishes throughout including a barn wood feature wall, granite countertops, wood flooring, stainless appliances and a gorgeous stone fireplace which anchors the great room. In addition to the 2 car garage, there is room for additional off-street parking in the dedicated driveway. Enjoy vaulted ceilings, views and en suite bathrooms in the two upper level bedrooms. The main level features an open floorplan, main level laundry and a covered outdoor living space for grilling and relaxation. The lower level offers a spacious entry, full bath and 3rd bedroom that can be used as a family room or office. Rocky Peak has neighborhood open space, is located on the bus line and is close to trails that connect to downtown and nearby public land.